Usually my mom is the one that always cooks for special occasions. 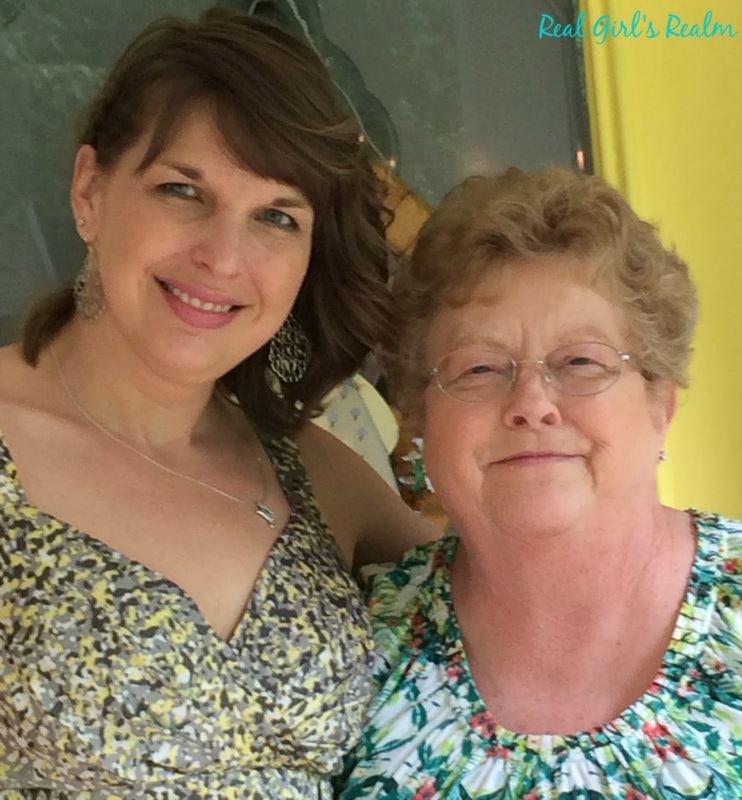 She is a wonderful cook and loves doing it, but this year on Mother's Day, she was recovering from knee surgery and could not get around very well. I decided I would cook a meal for her this time! She requested lasagna, which I am pretty good at making (though it is never as good as hers!) She makes homemade lasagna, complete with homemade sauce made with tomatoes from her garden. 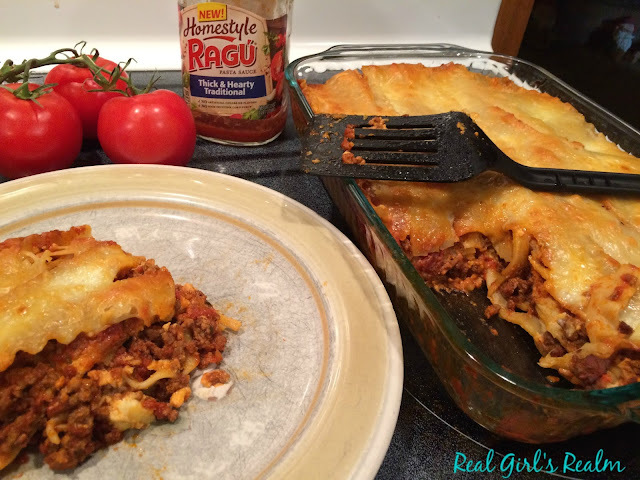 I am not that ambitious, so I use Ragu Homestyle Thick and Hearty Traditional sauce to give my lasagna that "homestyle" flavor. The new Homestyle line is the thickest sauce with the boldest flavors, because Ragu does not use artificial flavoring or colors. I count on Ragu pasta sauce to make my semi-homemade meals delicious. My mother and grandmother always served home-cooked meals full of flavor and fresh ingredients from the garden. My childhood is filled with memories of spending special occasions at my grandmother's farm and having veggies from the garden and fresh milk from their cows. Growing up, my parents always had a large garden and we spent our summers helping plant, pick, and prepare the fresh veggies (anyone need to know how to string beans??) Even though I do not have a garden, I still try to make it a point to carry on my family's tradition and make healthy home-cooked meals for my family most nights of the week. I am glad I can carry on my mom and grandmother's traditions by using Ragu pasta sauce in their recipes. Making homemade lasagna may seem like a daunting task, but once you get everything going, it comes together pretty quickly. You do not even have to make your own sauce, when you have five bold flavors to choose from in Ragu's new Homestyle line! 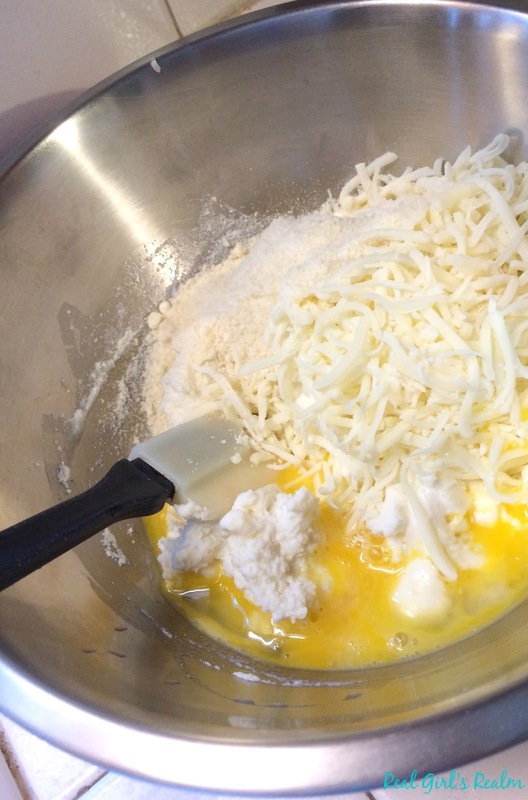 While your noodles and meat are cooking, you can mix up the cheeses and egg. Once everything is cooked, you are ready to assemble the lasagna. If you want to save time, you can assemble it the night before your event and keep it in the fridge for up to 24 hours. Make sure you let the glass dish sit out for a few minutes, allowing it to come to room temperature before putting it in the oven. Add a salad and a loaf of garlic bread, and you have a hearty family meal in a little over an hour! 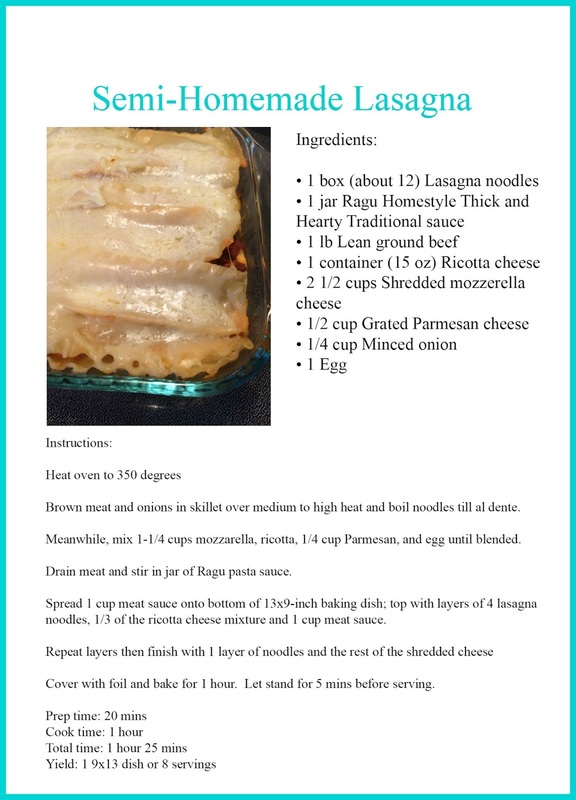 Visit Ragu's website and let me know your favorite recipe or what flavor you want to try! Comment with your answer below to enter to WIN a $25 Gift card for a night out on Ragu, when you need a break from cooking! Contest rules: Prize is a $25 gift card that can be used at the following: Chilis, Macaroni Grill, Maggianos, or On the Border. Must live in the United States. Contest ends at 11:59 pm EST on 5/28/16. I will chose a winner at random from the comments below. That homestyle pizza looks pretty darn good! I want to try the roasted garlic variety! I would love to try the roasted garlic flavor from their collection. Your lasagna looks yummy :) I still haven't tried each flavor but I would love to try the traditional homestyle sauce for my next spaghetti recipe! Also, sending well wishes to your mom for a fast recovery! Thank you LouAnn! My mom is recovering nicely; I appreciate the kind words! Congrats LouAnn! You are the winner of the gift card! Check your email for instructions on how to claim it! I'd like to try RAGÚ Homestyle Thick & Hearty Roasted Garlic Sauce. Mary, looks good! Have you ever tried the lasagne noodles that just go in the dish dry? I haven't, but I keep meaning to. Seems so handy, but old habits die hard! Hope your mom recovers well and quickly from her knee surgery. Jean, I have tried those before, but I just feel like they do not get as soft, so I usually just go with the ones you boil first. Thanks for the well wishes! I want to try the Ragu Four Cheese Sauce! This looks very good! Semi homemade, that's cute. Can't go wrong with a four cheese sauce!! I would like to try the Roasted Garlic sauce. I really want to try the penne primavera recipe. Your lasagna recipe looks yummy! How nice that you made your mom a delicious dinner. 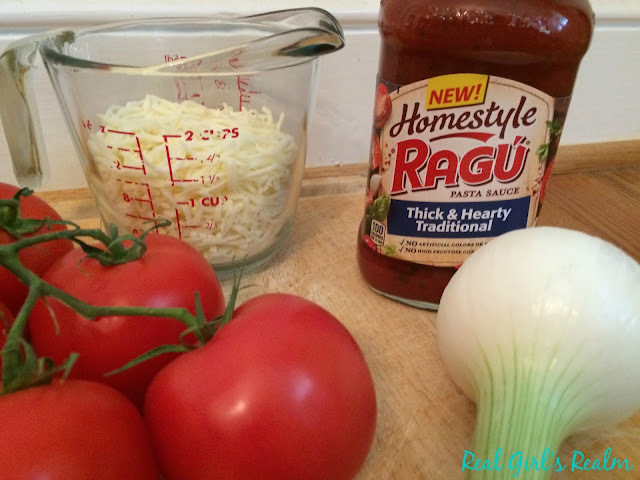 I love cooking semi homemade when it's with products like Ragu. I want to try the Homestyle Thick & Hearty Traditional Sauce and try the Chicken & Broccoli Alfredo with Fettuccine recipe. I would like to try the Thick & Hearty Roasted Garlic Sauce. Oh I have to try your lasagna recipe! Its our families favorite dinner, yours looks so much easier than mine! I cannot wait to try. 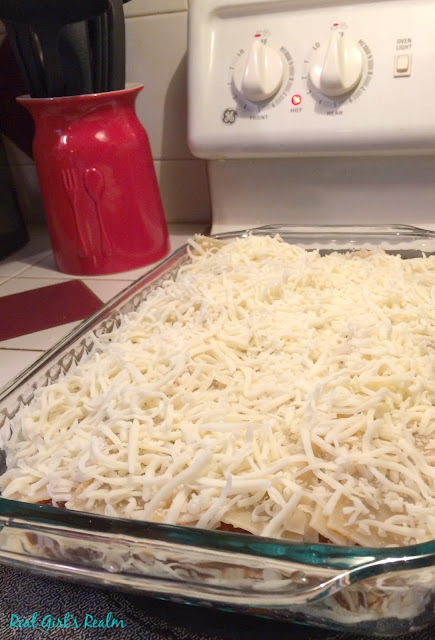 I would love to find an easier lasagna to make! I would love to try the RAGÚ Homestyle Thick & Hearty Mushroom Sauce first! They all look so good! I want to try the Italian Meatloaf. Sounds fantastic!!! I tries the roasted garlic and loved it! The best part about making lasagna is the leftovers! The flavors just keep getting better and better! Sandra, that is true...the leftovers were even better the following day! I would like to try Homestyle Thick & Hearty Mushroom Sauce. I would love to try the Traditional! I think that's the only one I haven't tried yet. Thank you Amanda for you kind comments! My mom is doing much better now! I am huge fan of Lasange/Lasagna! This looks yummy! It's a shame we don't have it here in New Zealand. Oh that is too bad Charlene! It is so good! I love Ragu! And we love lasagna! We are pre-making a few pans this weekend to keep in the freezer. I just made the Sausage Subs from the Ragu site last week, they were really good! Oh the sausage subs sound tasty, Bernadette! The Tuscan style sandwiches- I need to make them! I think I would use the Roasted Garlic variety and make meatball sandwiches. It's one of my go-to dinners on hectic days: some homemade frozen meatballs + jar of sauce in the crockpot and we don't have to hit the drive-thru after running around all afternoon! PS - I love those ceramic peppers of yours? Are they salt & pepper shakers? I actually saw some peppers at Sprouts the other day that had a beautiful swirly pattern like that, I almost bought a few just for the seeds to see if I could grow my own! Tina, Thanks for visiting! Yes, those are ceramic salt and pepper shakers. I picked them up a few years ago at a thrift store. I have a pepper theme going in in my kitchen and they were too perfect! I would loooove to try the Chicken and Broccoli Alfredo with Fettuccine! But before that, I'm totally trying your lasagna recipe! Erin, You are too kind! I hope you enjoy it, and I am sure it will turn out great! I love a really good lasagna and Ragu is the only pasta sauce that I would buy. 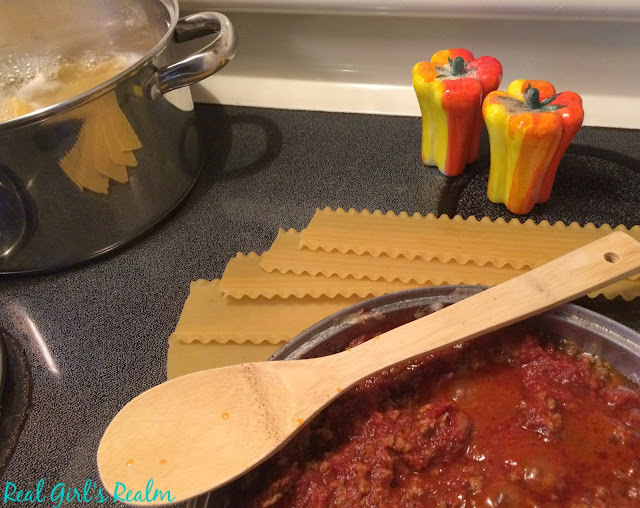 I really love their chunky variety and just make all your pasta dishes taste so good! When I don't go all out and make my own pasta sauce I usually use Ragu, and the homestyle kind is my favorite. I have been waiting on the oven repair guys for days I want to make lasagna!!!! I hope your mom is better. Thanks so much for commenting. My mom is doing much better! I hope you get to make your lasagna soon! When I think of lasagna, I think of two important women in my life -- my grandma and my aunt. Love how we relate food to our family. I just bought Ragu yesterday to make my own lasagna. Yum! I agree Reesa...both of my grandmothers always cooked as well as my mom, so there are so many dishes that I associate with them. My son would love this! I normally make Italian dishes 100% from scratch - even the noodles! But this is great when you don't have that sort of time. Lasagna is one of my favorite dishes and I always make it with Ragu Sauce. This recipe would be a big hit in our home. Omg yum!!! Lasagna is definitely a household favorite! Now i have a craving to make it! So yummy! Comfort food for sure...I love Ragu too! Thank you for commenting Megan! 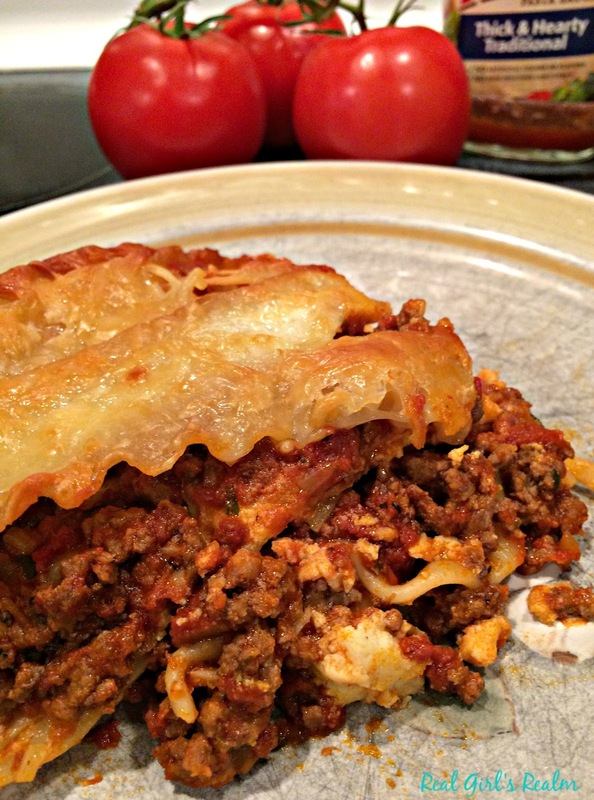 Lasagna is such a classic dish! It was so hard to choose just one favorite. Buuuut... I finally settled on CREAMY MOZZARELLA WHITE PIZZA! It looks super delish and is completely vegetarian. ^.^ Yummy. Please excuse my name. The device Im on wont let me logout of this one, its old. Yes, the creamy Mozzarella white pizza sounds amazing! Awe you're so sweet to make lasagna for your mom! Hope she loved it and her knee is feeling better! Thank you Roxanne! She is doing much better and is almost back to normal! I would love to try SPICY VEGGIE QUESADILLAS!! Thick and Hearty original/traditional sauce sounds good! I enjoy making 'Quick Summer Gazpacho'. Not only is it quick and easy, my friends are always amazed at how good it tastes. A nice refreshing change to summer events. Roasted Garlic seems like the first one I'd try and I'd substitute it into many of my summer recipes and my crock pot recipes. Seems like it would work well with meatballs. The Grilled Chicken Parmesan looked delicious. We grill out all the time (year round) and this would be a meal that all of my kids would eat. Thanks for the chance to win! !